We deal with any maintenance issues that can happen when guests are on holiday, this can be a light bulb to a burst pipe, anything at all. We check any vacant properties that are not let out to make sure no issues. We use a Magna-Dry system. Fully ensured you are dealing with a professional company that was established in 1996. The Magna-Dry system uses a positively charged non-toxic environmentally safe cleaning solution that is safe to use around children and animals to break down dirt and soil trapped in the carpet fibers. The two chemicals create positives and negatives that extract the dirt with the use of a rotary machine to activate the chemicals through a process called ionisation. 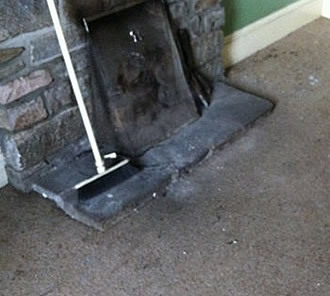 No sticky residue is left to re-attract soiling, so your carpets stay cleaner longer. For accidents we also combine our system with hot water extraction. With the use of specialist products, more stubborn stains such as chewing gum, grease, oil and tar can be removed! we use the industry standard and reputable Electrolux Professional laundry equipment. This provides an electronic chemical dosing system to create an environmentally aware process with exceptional finish. We can provide one off regular window cleans on any property.